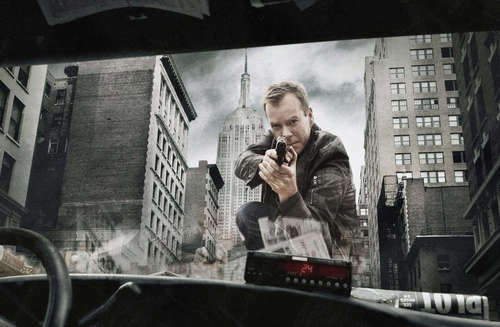 Jack Bauer Season 8. . HD Wallpaper and background images in the 24 club tagged: 24 2009 kiefer sutherland jack bauer promos stills photoshoots season 8. This 24 photo might contain street, city scene, urban setting, barrow, garden cart, lawn cart, wheelbarrow, sign, poster, text, and chalkboard.